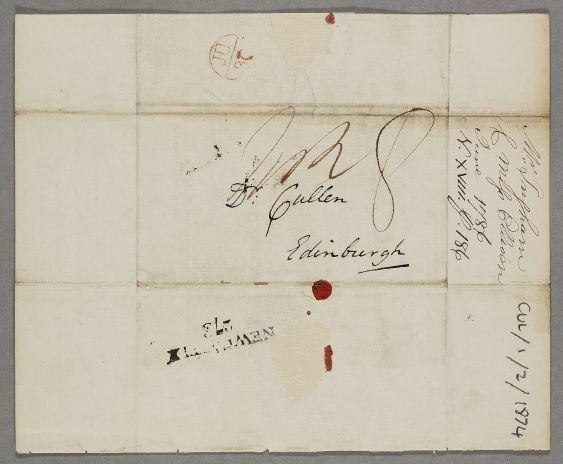 Letter from William Ingham, concerning the case of Miss Ellison. 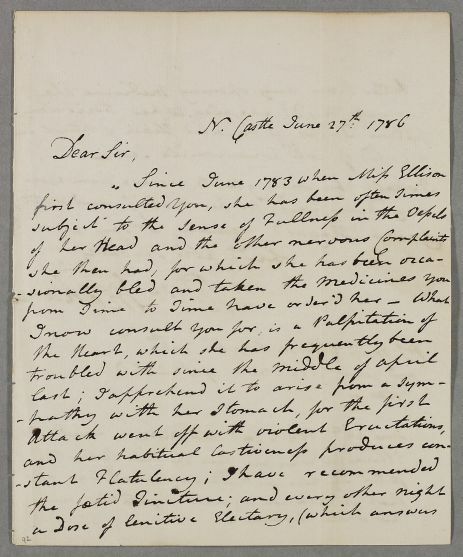 Ingham now consults Cullen for a new complaint: a palpitation of the heart, which he believes arises from her stomach problems and habitual costiveness. Miss Ellison reports on the action of the foetid tincture, stating it conferred no benefit; rather, it occassioned great agitation over her whole frame. 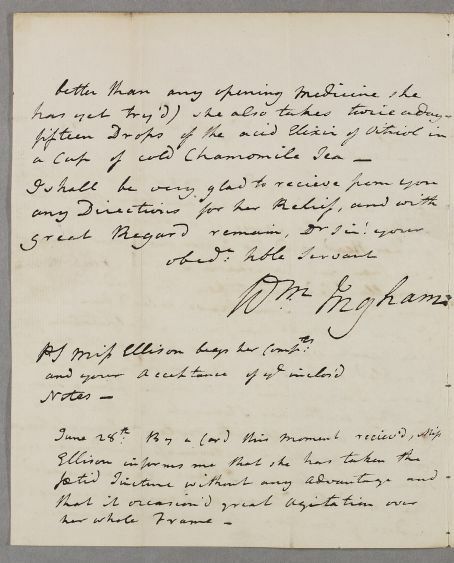 Summary Letter from William Ingham, concerning the case of Miss Ellison. Ingham now consults Cullen for a new complaint: a palpitation of the heart, which he believes arises from her stomach problems and habitual costiveness. Miss Ellison reports on the action of the foetid tincture, stating it conferred no benefit; rather, it occassioned great agitation over her whole frame. PS Miss Ellison begs her Compts.